Stephen Enniss, Director of the Harry Ransom Center, shared his thoughts about the proposed elmination of the National Endowment for the Arts and the National Endowment for the Humanities in an opinion editorial in the Austin American-Statesman. Below is the piece that ran on March 10. For instance, I am the director of the Harry Ransom Center, a research library and museum at The University of Texas at Austin, which makes its rich cultural collections available to all for free. On display in the lobby are three treasures of our culture: a Gutenberg Bible, the earliest surviving photograph, and Frida Kahlo’s remarkable Self-portrait with Thorn Necklace and Hummingbird. In the galleries, the Ransom Center hosts a variety of ever-changing exhibitions that in recent years have included The King James Bible: Its History and Influence, Shakespeare in Print and Performance and The World at War, 1914-1918. 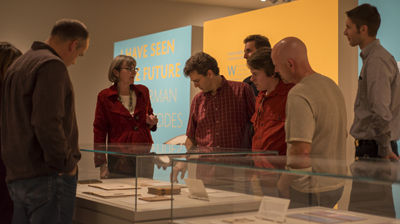 Visitors enjoy a tour of the exhibition The King James Bible: Its History and Influence. 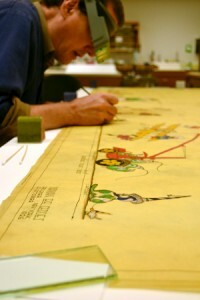 Conservator Ken Grant works in the paper lab, consolidating the paint layer on designer Norman Bel Geddes’s 1926 drawing for floats and participants in Macy’s parade. The drawing was included in an exhibition on Bel Geddes, with support generously provided by an FAIC/Tru Vue Optium® Conservation Grant. Photo by Kelsey McKinney. To those who suggest the government should have no role supporting such activities, perhaps they should remember that the arts and culture have always been closely aligned with our national story. After the burning of our Capitol during the War of 1812, Congress had the foresight to acquire the library of Thomas Jefferson as the foundation for what is today the Library of Congress. During the Great Depression Eudora Welty, Zora Neale Hurston and numerous other writers and artists undertook federal commissions, and Walker Evans produced a series of photographs that will always define that period in our nation’s life. 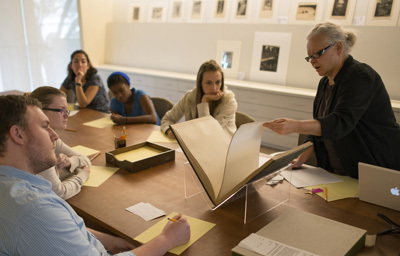 Dr. Sherre L. Paris, a lecturer at The University of Texas at Austin’s School of Journalism, teaches the undergraduate class “A Cultural History of Photography” at the Ransom Center. 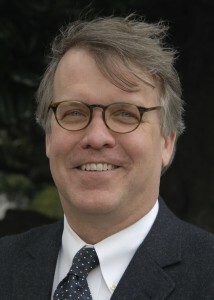 Photo by Pete Smith. The question for us today is: What future we will leave those who follow us? Our libraries and museums are nothing more, and nothing less, than reflections of who we are and what we value as a society. What we choose to remember defines our national character and the nature of the country we will pass on to our children. For more than 50 years, the NEA and the NEH have celebrated the best in this still-evolving national story, and they have been a powerful check against the forces of forgetting.